The welcome bonus being offered by CherryCasino is one which gambling enthusiasts will not want to miss. With a first deposit of €20, the newcomer gets to spin the bonus wheel, to see how many free spins they will be awarded, which could be up to 200 free spins to be played on the designated slots. 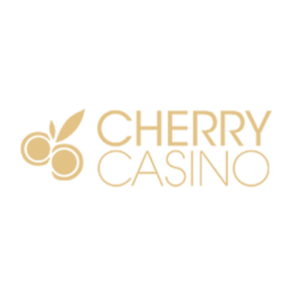 There is undoubtedly something for all players to enjoy at CherryCasino. For slot lovers, there is a large selection to choose from, including some exciting jackpot slots and video slots. There is a large selection of table games that many enjoy in the live casino section of the site, including blackjack, roulette and others. Some of the best casino software providers are supported at CherryCasino, including Microgaming, NetEnt, Foxium, Nyx Interactive, Thunderkick, Amaya, Chartwell and Yggdrasil Gaming. The casino has been sure to use a variety of software providers so those members who have their favourites won't need to go anywhere else for their game of choice. For those who want to become depositors at CherryCasino, they will find plenty of options to choose from. There are choices such as Visa or Mastercard, bank transfers, Moneybookers and Neteller. The casino requires a minimum deposit of €10. They have made sure that the processing of deposits is quick and easy. Withdrawing money from CherryCasino is as easy as depositing is. The method used for withdrawals will be the same as that which was used for depositing. Players may be required to provide verification documents. The minimum amount that can be withdrawn is €20. Some fees may apply depending on the method of withdrawal. CherryCasino wants to be able to offer their gameplay to as many players as possible in their native language. The casino supports English, Swedish, German, Finnish, Norwegian and Japanese. Their terms and conditions section is presented in English but can be converted to any language. Several countries are restricted from playing at CherryCasino. Just as deposit and withdrawal methods are essential, so is the ability to use the type of currency that one has access to. Players will find that CherryCasino will accept US dollars, euros, Sek and Nok. If an interested party is not sure if their currency is accepted, they can check with support. CherryCasino wants to make sure that everyone who enjoys casino play can access what they have to offer. There is the instant play version here with no download needed. Then, for those who want to play anytime and anywhere, there is a mobile casino. CherryCasino also takes great pride in their live casino platform, which is exciting. This is a casino which believes in ongoing customer support. They offer this through a chat section. They also have a very extensive FAQ section, that answers the majority of technical questions. This allows players to receive detailed instructions, to address common problems that may arise. The information section will address common, as well as technical, issues.